A previous version of this caption gave an incorrect credit. The photo was taken by Josh Glass, not John Glass. 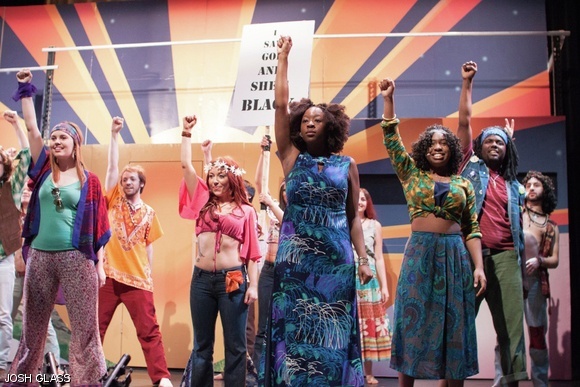 A scene from Berklee College’s adaptation of Hair.